We would like to welcome you to Northern Michigan's destination for Cosmetic and Family Dentistry. 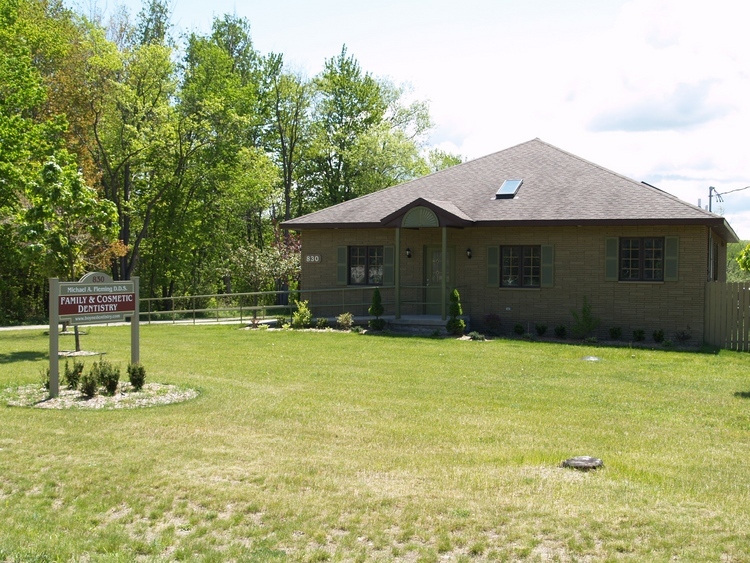 The office is located at 830 State St. in Boyne City, Michigan. Our practice is devoted to comprehensive and preventive patient care, and we take great satisfaction in helping you maintain optimal oral health. If you want a beautiful, natural-looking smile transformation, this is the right place! Dr. Michael A. Fleming brings 17 years of private practice dental experience to the area with a focus on cosmetic dentistry and total dental care for his patients. Dr. Fleming's practice is unique an unlike any experience you have ever had at the dentist. "Our patients are our most important asset, and we want to develop a long-lasting, trusting relationship with all of our patients. You will feel important and well cared for when you visit us and your genuine care and comfort is our passion...Our goal is to provide quality dental care in a gentle, caring environment. We strive to treat our patients with respect, dignity, and compassion, because you are the reason we are here!" Please call our office at (231)582-8000 or (231) 582-7101 if you have any questions, need additional information, or wish to arrange a consultation.